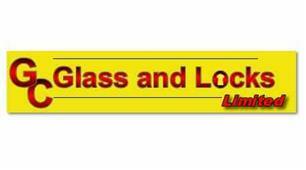 GC Glass and Locks - Glass, Locksmith based in Leigh-on-Sea, Essex. GC Glass and Locks & The Lock and Glass Shop, are a division of the GC Group of Companies, a family run business operating in the 24 hour emergency glazing and security industry for over 20 years. Our first class reputation and reliable service gets us referred by our clients again and again. We offer honest, sound advice and are familiar with all the requirements and procedures necessary for securing premises in case of emergency at all hours of the day and night. All our locksmiths and glaziers are fully qualified and insured and are ready and willing to take on any situation from gaining access, break-in repair, and boarding up to replacing a shop front. GC Glass and Locks are a MLA (Master Locksmith Association) approved company, which means the locksmiths we employ are of the highest standards, and the work undertaken is carried out to an approved standard. It is important to use an MLA approved locksmith as incorrect application of locking devices can invalidate your insurance. Our vehicles carry a large selection of locks and spares as well as glass and boards along with a wide range of double glazing accessories and parts. This means that most calls can be completed successfully on our first visit. all of Essex, East London, North London, North Kent and South Herts.